We offer Infrastructure as a Service. This includes compute, storage and network services offered in two availability zones in order to support high availability solutions. This gives our customers scalable and secure resources for digital transformation and production. By moving compute, storage and networking to a cloud based platform you can reduce both investment and operations costs. Automated setup and configuration through tools such as Infrastructure as Code can reduce time spent while removing possible errors from manual setups. DevOps tools such as Infrastructure-as-Code (IaC) is supported and we have guides with Terraform scripts available. 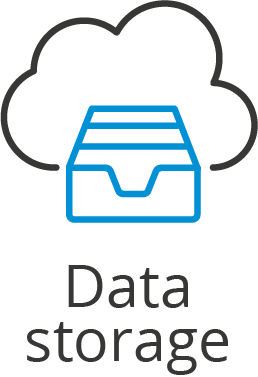 Our storage solutions support popular standard API’s as S3 and Swift for storage - making integration easy. If you want to innovate and utilize new techology such as IOT, Big Data analysis, Virtual or Augmented Reality then cloud based resources can help you get started faster with lower costs. We offer an opportunity to start exploring new opportunities without having to invest in new equipment - thus cutting down on time to market. Arctic Cloud is based on the “pay as you use” principle and will scale both up and down according to your needs. We currently provide pre-made images of the following operating systems: Centos 6 and 7, Debian 9, Fedora, Ubuntu 16.04 & 18.04, Windows Server 2012 R2 and Windows server 2016, you have the option of uploading your own custom images. New customers can use resources for up to NOK 250 each month for the first 6 months as part of our free-tier program. This equals up to 2500 hours of compute per month on the smallest available server, but the free-tier credits can be used for any size server and service. You only pay for what you use so you can spin up an environment for testing and then remove it without having to pay for unused resources. All customers get 100GB of ingress(RX) and egress(TX) traffic free each month - always.